Future Educator's Academy serves 9th-11th grade scholars at our Edgewood campus. Future Educator's is a morning academy. Interested in learning more about the Future Educators Academy? Check out our photo gallery. The first course in the Future Educator sequence is designed to immerse scholars in the field of education by exploring careers in counseling, teaching, administration, and other support roles in the school system. Scholars will engage in activities designed to uncover their abilities and interests in becoming an educational professional. This course is offered to freshman from all three Kenton County High Schools. Scholars must also enroll in a mathematics and English course in the Academy. The second course in the Future Educator sequence is offered to sophomores from all three Kenton County High Schools. This course helps scholars understand how today’s scholars learn. Topics include, but are not limited to: child psychology, lifespan and developmental psychology, multiple intelligences, and Bloom’s Taxonomy. This class is only offered in the Kenton County Academies of Innovation and Technology. Scholars must also enroll in a mathematics and English course in the Academy (see below). *Scholars enrolling in the sophomore pathway for the Academy must take GEOMETRY at their home high school if not already completed. The third course in the Future Educator sequence is offered at Scott High School to juniors from all three Kenton County High Schools. This course explores teaching techniques and strategies as they apply to 21st century inquiry-based learning. This class is only offered in the Kenton County Academies of Innovation and Technology. Scholars must also enroll in a mathematics and English course in the Academy. *Scholars enrolling in the junior pathway for the Academy must have completed Geometry and Algebra II. 12th Grade Scholars from Simon Kenton, Dixie Heights, & Scott H.S. 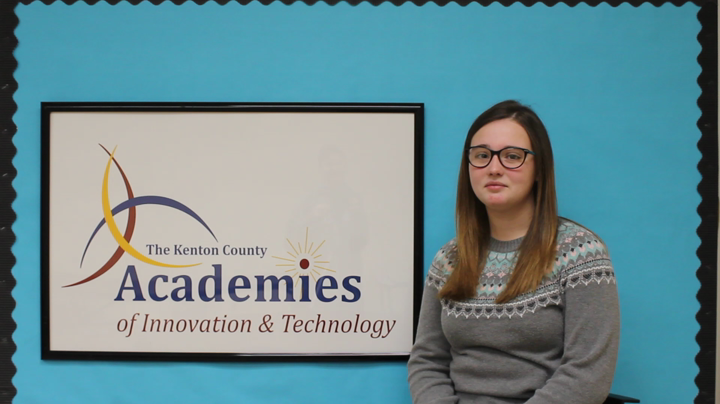 SENIOR PRACTICUM WITH CAPSTONE COURSE: The fourth course in the Future Educator Academy is offered for scholars from all three Kenton County High Schools. This is a practicum-based course where scholars will practice teaching within the Kenton County School District. Scholars will learn about many advanced educational practices including, but not limited to: best practices, classroom management, and Kenton County educational programs. This course is part of the Academic Internship Program, and all scholars must apply to be selected.